Cairns to Osaka – Kansai International Flights $397 Return using POLi. $423 using CC. Melbourne to Osaka – Kansai International Flights $443 Return using POLi,Visa Credit Card. $463 using CC. 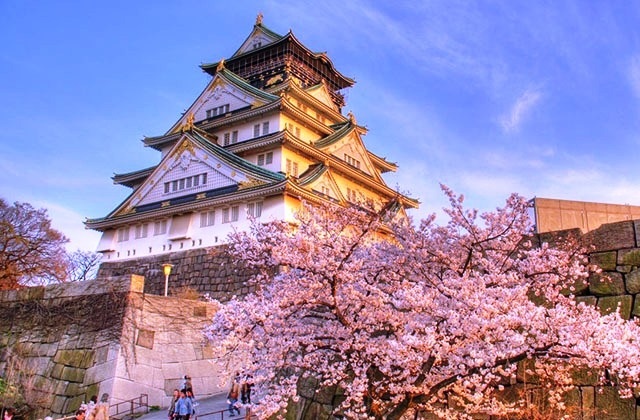 Perth to Osaka – Kansai International Flights $489 Return using Visa Credit Card. $489 using CC. Brisbane to Osaka – Kansai International Flights $553 Return using POLi. $579 using CC. Sydney to Osaka – Kansai International Flights $599 Return using POLi. $625 using CC. Cairns to Tokyo – Narita Flights $397 Return using POLi. $423 using CC. Gold Coast to Tokyo – Narita Flights $524 Return using POLi. $549 using CC. Brisbane to Tokyo – Narita Flights $553 Return using POLi. $579 using CC. Melbourne to Tokyo – Narita Flights $582 Return using POLi. $608 using CC. Sydney to Tokyo – Narita Flights $599 Return using POLi. $625 using CC. Adelaide to Tokyo – Narita Flights $607 Return using POLi. $633 using CC.